Music lovers, stop everything you’re doing! We have the perfect event for your next Jackson, Mississippi, vacation. Pepsi Pops is an annual festival held in May you don’t want to miss. You can listen to classical music by the water, enjoy a picnic in the park with friends and family, and marvel at fireworks while the national anthem plays! Pepsi Pops is always a magical night, so read on to find out more about the event. Then, start planning your trip! Pepsi Pops is, without a doubt, a one-of-a-kind experience. 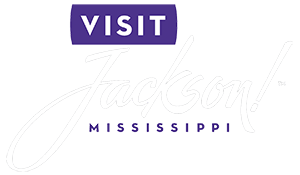 Both music lovers and professional musicians can enjoy the event that has been entertaining Jackson residents for almost 40 years. Each May, the Jackson Symphony Orchestra offers an outdoor concert at the reservoir in Old Trace Park and gives the public a chance to experience classical music in a gorgeous, natural setting. Organized by the Jackson Symphony League who created Pepsi Pops in 1969, the event draws hundreds of visitors each year. Bring a blanket or chair and visit Old Trace Park for an unforgettable night. Seeing top-notch performances by talented musicians is just one way to have a great evening at Pepsi Pops. The beautiful location of the Barnett Reservoir makes this event the perfect occasion for a romantic picnic. There’s nothing like feeling the cool breeze off the water and letting the melody evaporate into night sky! Be sure to make yourself a delicious picnic that you can share while listening to the music. If you don’t want to carry anything in, several food options will be available for purchase, including some of the best burgers in town. Make sure you don’t miss the grand fireworks finale! Gaze at the multicolored sparks as the national anthem plays and the flag is raised up high. Tip: Pepsi Pops is a kid-friendly event, so bring the little ones! You’ll find a playground area with inflatables, obstacle courses, and many other activities throughout the park. After an enchanting night at Pepsi Pops, come home to a comfortable room at Fairview Inn. 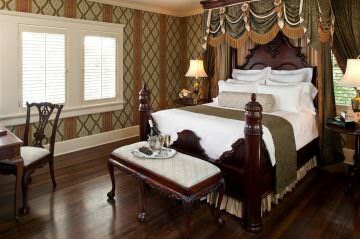 Our stunning accommodations are perfect for you and your significant other and will make your trip even more romantic. With luxurious amenities and a historic atmosphere, Fairview Inn is the best option for your next vacation. Book our Executive Suite! This spacious queen bedroom is your next home away from home. Come back from your night out and relax with a hot bath in your private bathroom. Then, put on one of our complimentary robes and get the best night’s sleep you’ve had in years! Wake up the next day feeling refreshed and join us downstairs for a delicious complimentary breakfast. Book your stay today at Fairview Inn! We look forward to hosting you. The Best Tips for Successful Getaways From Atlanta — Here Are the Best Jackson, MS, Fourth of July Events!